Official Mascara Correspondent Ashleigh Ciucci takes on Lise Watier‘s Dramatique Intense 3D Volume Mascara. How does she fare? Find out. If you’ve read my reviews before, you know I love a mascara with a unique brush. This brush is teardrop-shaped with a fat rounded base and a tapered point. While the formula was a touch dry, this allowed for great grip and good coverage with one coat. My lashes curled and grouped together in “good clumps” giving a dramatic almost-false-lash-look. For the second coat, I recommend keeping your build-up at the roots and away from the tips. The brush really works the magic here offering formidable application and separation but it can’t fight clumps at the tips. My lashes were too dry for a midday touch-up but the look was so impressive I didn’t mind. 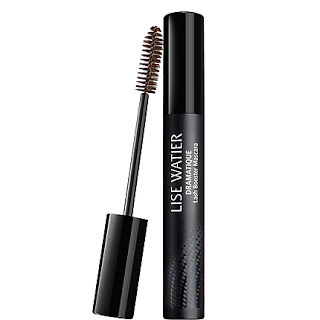 Lise Watier Dramatique Intense 3D Volume Mascara for $24 at lisewatier.com. Hmmmm….impressive. I think I wanna try it out for it sounds like a great product to try out. I always wanted to have perfect lashes and i think this can do the job. If it can give you almost that fake look and shine the lash with deep dark luster with thickness, I’ll buy! Thanks for the review!